Neil Patrick Harris. The former child star of Doogie Howser, M. D. is easily the most notable and outspoken actor on the show, as evidenced by his perfect portrayal of the womanizing Barney Stinson. His many mannerisms capture the essence of the character, and hilarity always ensues. It’s more subtle. On Friends, most of the humor is clearly out there, pandering to a less intelligent office. HIMYM creates subtle and clever humor by hiding many of its jokes beneath the surface in double entendres and background humor (writing on posters, text on Internet sites) that can be found by the observant eye. It’s more romantic. Apart from sheer comedy, the convoluted story driving HIMYM provides more emotional twists, touching moments, and overall emotion than its counterpart in Friends. The music is better. One of the biggest underlying strengths of HIMYM is its relatively unknown, often solemn and brooding music, which always creates an apt background setting for some of the funny and emotional moments in the show’s run. It’s less played out. The exaggerated hysteria on Friends (for example, when Ross is hit with a hockey puck that makes a whirring sound as the camera focuses in on its path–I mean, COME ON) creates an overly melodramatic effect that sure gives the impression of corny humor as a result of uncreative writing. In contrast, HIMYM relies on misdirection to get many of its jokes across, hardly ever being predictable enough to be cliched. It’s more current. By no fault of its own, Friends’ jokes and cultural references are outdated and not prevalent in our society when compared with those of HIMYM. Though this is naturally due to the order in which the shows premiered, (Friends ran from 1994-2004, HIMYM from 2005-2014) this truly detracts from the impression Friends makes on its many viewers. Its storyline is better. HIMYM is all about “a starry-eyed romantic on a noble quest for true love,” as protagonist Ted Mosby himself explains. Ted explains the emotional and long story of meeting his future wife to his teenaged kids from the year 2030. Such a unique perspective is far better than what Friends has to offer. Oh cool, it’s a bunch of friends who hang out. Stop me if you’ve heard this before. Its characters are deeper. On HIMYM, the five central characters are all multifaceted with multiple aspects to their personalities (Except Lily, who remains annoying and conniving). They change over the course of the seasons; for example, the horribly misogynistic Barney in Season 1 grows to be far more honest and respectful by the series finale. From what I’ve seen of Friends, most of the characters are very shallow, caring only for themselves, and don’t appear to change much (granted, they may as the series continues). It’s just…funnier. HIMYM’s clever and subtle humor definitely trumps the contrived jokes of Friends, which are clearly indicated by overdone acting. The whole point of a sitcom is to make people laugh, of which HIMYM certainly does a better job. It feels more real. Jokes told in HIMYM are punctuated by the obvious amusement of the characters themselves, giving the show far more verisimilitude than Friends, which has stilted jokes for the benefit of purely the audience (the characters don’t react viscerally, and just stand there waiting for the laugh-track to conclude). It’s more well-made. Though a lot of the variation is simply due to the stylistic elements and the difference in time period, it shouldn’t be hard to see that HIMYM has a clear advantage in its production. Many are nostalgic for Friends because they saw it first or remember it from their childhood, but it’s clear that when compared, HIMYM wins sitcom gold. My Editorial in the last print issue titled “Presidential Burdens” has come under fire from some vocal critics. In essence, I spoke about how unfair it was for America to place such a great burden on President Obama’s shoulders to radically change the justice system to alleviate some racial tension in the political justice system. I argued that time is his greatest ally, and significant change cannot be brought about in an 8 year term; in comparison, the Civil Rights’ movement was a product of over 200 hundred years of anguish. Do you mean that white society is exploiting America, which I assume you’re calling “your land?” You bounce between ideas that don’t follow any type of logical order. I’d argue that many African-Americans don’t HATE their homeland; rather, many are unaware or choose to be ignorant of their origins. Inspiring African-American youth to seek their cultural heritage isn’t an easy task, but I’m sure they don’t hate themselves for being unaware of their history. Once again, you are making another hasty generalization through an argument from ignorance because your claim that African-Americans hate themselves is naive and extremely difficult to prove. Fortunately, this critic brings to light the diverse perspectives and complexities of racial relations within the United States. While there is no way to prove that increased knowledge of black heritage within the African-American community would decrease crime rates or increase mutual respect for one another, one cannot deny the powerful history African-Americans have endured. We owe it to society to learn from our past and progress into the promise land. 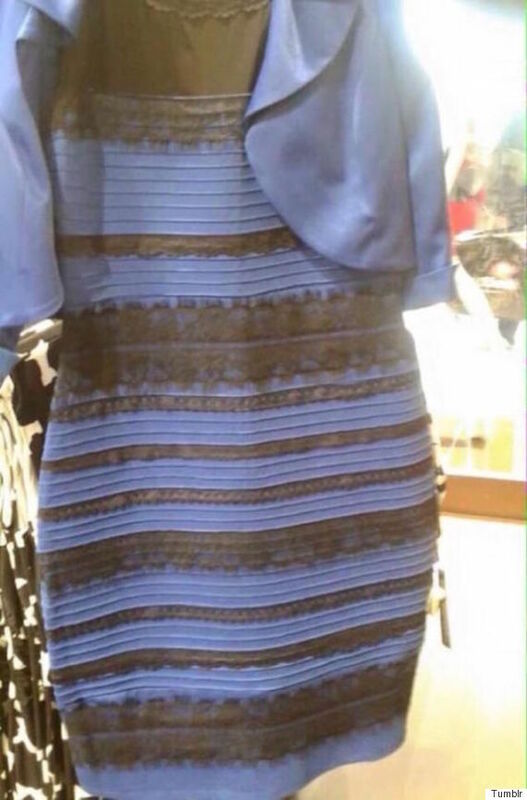 As most know, recently a picture of a dress which appears different colors to various people has been released. Some see the dress as white and gold, others see it as blue and black, or even blue and gold. It has been confirmed that the actual dress is blue and black, but some evidence shows otherwise. Many conspiracies have come out about this picture. Was it created by ISIS to break out fights among people to destroy the US? 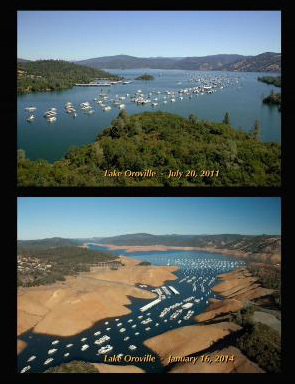 Could it be a social experiment created by our government? When scientists googled the dress, it showed up on foreign websites and could not be translated out of Russian by Google Translate. This led to more questions about the dress. Was it created by Russia to distract the U.S. from something they were plotting? Who made this dress in the first place? Some have said that there is a UV light over the picture causing it to look different in people’s eyes, but there are too many factors contradicting this statement. It was confirmed that the real dress was blue and black, but how would one explain why a photo of two girls was released, both in each dress? It would be much easier if this dress could be easily explained, but that is not the case. It is a mystery that will become less talked about, but never be completely solved. One of the topics that is completely one sided. People into fitness either appear to be an avid lifter against crossfit, or the other way around. It is hard to prove which one is better, because they do not necessarily have to be used for the same purpose. Crossfit is high intensity and quick, with a large cardio vascular focus, while traditional weight lifting is usually mostly focused on building muscle. Crossfit receives some criticism for the crossfitters having poor form when performing exercises. In these cases, crossfitters are more focused on speed rather than proper form which can result in injury. Another aspect of crossfit that isn’t necessarily proper is the idea of kipping. Kipping is what is done by crossfitters when performing dips and pull ups, in which they use their momentum to perform the move, while traditionally the moves are meant to focus on the target muscles, not momentum. Of course overall crossfit is a very effective form of fitness, if done with proper form. Lifting as well has its benefits and its down sides. In some cases, ego lifting comes into play, in which people use more weight than they can perform with properly, in order to feed their ego, which can result in injury. In some cases, weight lifters have become stereotyped as ego driven meatheads. This is merely a stereotype, for no matter where someone goes, there will be good and bad in every group. Both forms of fitness are very popular, but of course it seems like for the most part people are either supportive of one or the other. There are benefits in both, and down sides in both, so it is sort of hard to find if one really is better, when in some cases, they don’t strive for the exact same goal. Still the war rages on, and there isn’t a great way to prove if either one really is better. Crossfit does have weight lifting involved in some routines, but not exactly in the way of traditional weight lifting, and of course not all, but some weightlifters do cardio. It has to make people wonder if either side has tried the method, and maybe if they did, some of the hostility would end. Hopefully some have tried the methods of each other, being able to put their differences aside, and see that both do have benefits, and possibly more and more can try each others method, and lower the hostility between the groups drastically. Broken arms or cracked screens? Most of our generation grew up in a time where we climbed trees, dug in the dirt, made “mud pies,” and ran around outside. We were covered in cuts, bruises, and dirt, but if we fell, we got back up to play some more. Our biggest worries were about not being able to play because we got in trouble, or when it rained and we weren’t allowed to go outside so we wouldn’t get sick. Even indoors, we played with toys, played “house” or “hospital” and were always using our imaginations. We did not worry about getting “likes” on a photo or texting a crush the right thing. In today’s age, however, most children are not experiencing this same childhood. They sit inside watching television or playing games or engaging in social media of all types. Granted, not everyone in our generation had this incredible childhood, and not all children now are missing out on it. There is a high number that are however, and this is something that need to change. In addition to the children being less physically and mentally active, they also have access to infinite amounts of unfiltered information, much of it not suited for children that young. We were somewhat sheltered from this side of life. No child needs their hopes demoralized by hearing about terrorist attacks or suicide. Those types of concepts, along with many others, are far too much for a child to comprehend. Hearing about all of the negativity in the world may also discourage the children from reaching for their dreams in fear of failure. Children should always be told to reach for the stars and to never give up on their dreams. So let’s start changing this path before it gets too late. Encourage kids to put down their devices and go climb a tree. Let them see the world with their own eyes before seeing it through a camera lens or on a website. Even in the days of the Information Age, when technology dictates our quotidian lives and all the factual knowledge humans have ever possessed is a few clicks away, easily accessible on the World Wide Web, there are those who consider themselves above science. They reject the proven but seemingly improbable in favor of their own unrealistic fantasies. They jeer in the “nerdy” face of science, preferring to listen to demagogic leaders spouting lie-filled nonsense and preying on irrational fear and paranoia to gain credibility. Simply put, we need to realize who the real enemies are. No, it’s not the scientists whose lives’ work has been invalidated, in the eyes of so many, by false stories of medical miracles or by conspiracy theorists who claim we faked the 1969 moon landing. Scientific data is based on PROVEN THEORIES–results of hundreds or thousands of tests. Not just a whim of some uncredited “doctor” with a blatantly fake name who claims that smoking isn’t harmful, despite medical data that smoking causes 80% of lung cancer deaths for men and 90% for women (per lung.org). But by all means, don’t try to quit. You’ll be fine…right? How did these outright fakers become more reputable than professional scientists, one may ask? Some people are fed up with the harsh truth that scientists cling to; take the hotly-debated issue of global-warming. A November 2013 study conducted by Yale University found that a startling 1 in 4 Americans refuse to believe that climate change is truly taking place, despite solid evidence of a global increase in temperature, more fluctuating and dynamic winters, and the melting of the polar ice caps. These skeptical 25% have been known to use the defense, “But…it was cold today! How could there be global warming if it’s colder than yesterday?” Yes, and your water filter surely just provided millions of disadvantaged Africans with pure water. Problem solved. It’s not like it’s all that difficult to prove that something’s true or not true. There’s this website called Google that might ring a bell. You can like, search for stuff. It’s pretty cool, man. Alright, levity over. Definitely resort to fact-checking before obstinately believing that crazy-looking guy who implores us to move to Mars ASAP before Obama sends drones to kill us. It almost sounds too good to be true…. Where did you teach before? What subjects do you teach at EC? What do you think of EC? Everyone thinks of something different when they hear the words “Link Crew.” Some may think of helpfulness and kindness, while others may think of something entirely opposite. Link Crew is an elective that started about 3 year ago by one of the teachers, Mr. Tim Gager. Link Crew is a national club “built on the belief that students can help students succeed” (boomerangproject.com). It is all about teamwork and communication between students, without too much adult intervention. 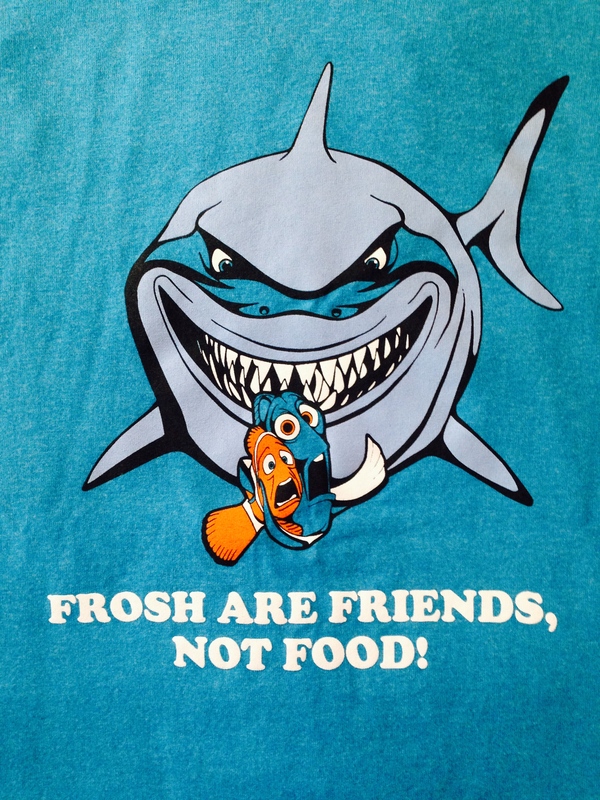 Freshmen have expressed different opinions on what they think of Link Crew. A few have said that it is a ‘waste of time’ or they don’t feel like it helps. They have noticed that they are not contacted outside of meetings, which already do not occur that often. This could be a sign that holding all Link leaders accountable is a challenge, especially if they are not enrolled in the daily class. Tapia believes that there should be more meetings for any freshmen who have questions about the school. All of the leaders, just like the freshmen, have different personalities as well, which can affect the rapport among the entire group. Some Link Crew leaders have been treated very poorly, whether its behind their backs or to their faces. Senior Rebecca Seltzer stated that the freshmen seem to treat her quite well. Most freshmen say how they ‘love it’ and wish there was more time for link meetings. This is not a new request, but since Link Crew is still a relatively new program at El Camino, changes to the program cannot be made all at once. This year, Link Crew is responding by collaborating with PE 1 to get the groups together more easily. Freshman are required to attend the meetings that occur during PE, whereas last year many opted out of meetings scheduled randomly during lunch time. This elective/program should become an El Camino institution if it continues making steady improvements. The class/club not only helps the freshmen with their first couple of days at El Camino, but also helps Juniors and Seniors, who may not be as social, open up and take on a leadership role. Seltzer hopes that “Link Crew will go on for a while,” making future Link leaders out of this crew of Freshmen. Under Pressure – The media simultaneously praises celebrities who have gained body-acceptance and pushes the latest fitness craze. How the pressure to be perfect weighs on one writer. Young people are constantly feeling the pressure to be perfect, which invites the media to feed off the lack of self-esteem and desperate need for acceptance that adolescents bear. The media tends to have power over the younger people’s sense of worth, and don’t mind playing with it as long as money is being made. As soon as they grant it, they find a way to take it away again, so that they may keep tossing it back and forth to make more money. This nature is everywhere, in television, writing, and even the music business. Twenty year old attractive boys are paid to sing beautiful songs that attract 12 year old girls and make them feel wanted. The girl buys the song or album, spreads it like the plague, and then gets upset because no boy will ever love her like One Direction does. And so, she goes elsewhere looking for attention again and the cycle repeats. In Seventeen’s February 2014 issue, the cover featured Troian Bellisario, an actress from the popular television show Pretty Little Liars. 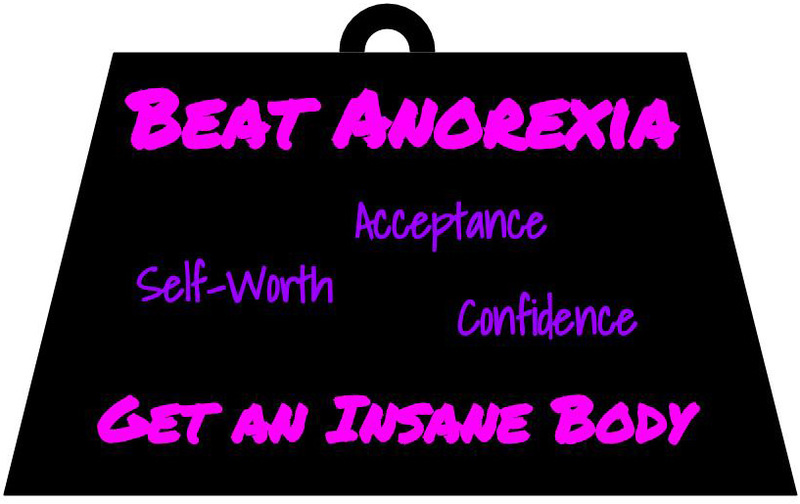 The main story was an article on how the actress had beat anorexia, an eating disorder. It was a positive piece, promoting self-acceptance, confidence, and self worth. Of course it was also part of the aforementioned cycle: readers felt worthy, but only for a minute. Why? Another front cover feature story was entitled “Get An Insane Body: It’s Hard, But You’ll Look Hot!” Not only was it totally contradicting the previous headline, but it was placed DIRECTLY UNDER the story of so-called body acceptance. The magazine is not practicing what it preaches. Ultimately, Seventeen profits on a delicate balance: telling you that you’re fine just the way you are, then implying that you aren’t good enough.